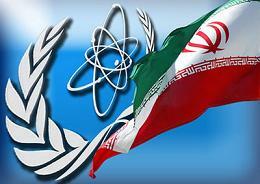 Iran and the P-6—the five permanent members of the UN Security Council, plus Germany—announced Thursday that they have finalized the “parameters” for an agreement to “normalize” Iran’s civil nuclear program. Reached after eight days of heated bargaining, during which time the US twice threatened to quit the talks, yesterday’s agreement will form the basis for a final agreement to be reached no later than June 30. Should a final agreement be reached, it would represent a significant shift in US-Iranian relations, bound up with US efforts to bring Iran more closely in line with its operations in the Middle East. At the same time, the deal places onerous restrictions on Iran, while holding out the possibility for a resumption of the US-backed war drive at any time in the future. While the first paragraph of the US fact sheet outlining the parameters’ agreement stipulates “important implementation details are still subject to negotiation, and nothing is agreed upon until everything is agreed upon,” the four pages that follow contain sweeping concessions on the part of Iran’s clerical-bourgeois regime. * Submitting to the most intrusive International Atomic Energy Agency (IAEA) inspection ever devised. IAEA inspectors will have carte blanche to enter any site or facility in Iran that they deem “suspicious” in perpetuity. * Dramatically curtailing Iran’s capacity to enrich uranium and its existing stockpile of enriched uranium. For the next 10 years, Iran will be allowed to operate just 5,060 of its 19,000 centrifuges and those it does operate must be “first-generation,” i.e., extremely slow. * The dismantling of much of Iran’s civil nuclear infrastructure. The core of the heavy reactor at Iran’s Arak heavy water research reactor is to be “destroyed or removed from the country” and the facility redesigned and rebuilt so as to prevent the production of weapons-grade plutonium. The punishing US and EU sanctions that have halved Iran’s oil exports since 2011 and frozen it out of the world banking system will be “suspended”—not permanently removed. Moreover, their suspension will begin only when Iran has made good on all parts of the deal that are immediately applicable. Tehran will have to fulfill even more onerous conditions before the UN Security Council resolutions on the Iran nuclear issue will be lifted. Iran will not only have to implement all the above-enumerated “key nuclear steps,” but also “address the IAEA’s concerns about the Possible Military Dimensions” (PMDs) of its nuclear program. The US used this device against Saddam Hussein, demanding that he prove Iraq had no weapons of mass destruction. Even were the PMDs issue to be resolved to the satisfaction of the IAEA—an international body dominated by the US and its allies—the UN Security Council Resolutions that target Iran will in reality no more be eliminated than the punishing US-EU economic sanctions. Tehran has agreed that the “core provisions in the UN Security Council resolutions” limiting Iran’s access to “sensitive technologies” and providing a host of punitive measures will be incorporated in a new UN Security Council resolution. Should a still-to-be-defined “dispute resolution process” fail to resolve a complaint about Iran’s implementation of the final nuclear deal levelled by any of the P-6 powers, the way will be open, under the parameters’ agreement, for the re-imposition of all previous UN sanctions. Yesterday’s agreement was announced in Lausanne, Switzerland by the EU’s foreign policy chief, Federica Mogherini, and Iran’s foreign minister, Javad Zarif. US President Barack Obama, however, quickly seized center stage. He underlined that if the “parameters” are not transformed into a final accord acceptable to the US, or if Iran violates any element of the final deal, “all options” will be on the table for him and any future US president. “All options on the table” is a favorite US euphemism for punitive action up to and including all-out war. Iran’s government is also claiming victory. Foreign Minister Zarif said the agreement demonstrated that the Iranian people “will never bow to pressure.” The reality is that the Iranian bourgeoisie, reeling under the sanctions’ devastating impact on Iran’s economy and terrified of a challenge from the working class, is desperate for a rapprochement with US and European imperialism. The US ruling elite and their corporate media speak ominously of Iranian “aggression” and failure to adhere to international law. What hypocrisy! It is the US that has waged an unrelenting campaign against Iran since the 1979 revolution overthrew the tyrannical regime of the US-backed Shah. This has included supporting and arming Iraq during the Iraq-Iran War, a decades-long economic embargo, numerous threats of military attack, and a covert war against Iran’s nuclear program involving cyber-warfare and, in collaboration with Israel, the assassination of Iranian scientists. While the US repeatedly threatens Iran with war if it does not demonstrate to Washington’s satisfaction the peaceful character of its nuclear program, it turns a blind eye to Israel’s nuclear arsenal. Obama’s attempt to effect an accommodation with Iran has angered Washington’s traditional Mideast allies and is being bitterly contested within the US military-security and political establishments. The Republican Party leadership was also quick to denounce the agreement. Illinois Senator Mark Kirk claimed, “Neville Chamberlain got a better deal from Adolf Hitler,” while Arkansas Senator Tom Cotton termed yesterday’s agreement “a list of dangerous concessions that will put Iran on the path to nuclear weapons.” Cotton authored an “open letter” signed by 47 Senators to Iran that claimed any deal entered into by the Obama administration could be repudiated by Congress or a future president. Republican Senator Bob Corker, the chair of the Senate Foreign Relations Committee, said he would press forward with legislation requiring Congress endorse any final agreement with Iran before it can take effect. Obama and his domestic critics share the same basic strategic goal, i.e., shoring up US hegemony over the Middle East and the entire globe. They differ at present on the tactics to be employed in regards to Iran in pursuit of that aim. Under conditions where repeated US wars have blown up the Middle East and there already is a tacit Washington-Tehran alliance in opposing the Islamic State in Iraq, Obama calculates that the Iranian regime can be enlisted in helping restabilize the region under US dominance. Even more importantly, the proponents of a deal with Iran calculate that if this oil-rich country can be brought into Washington’s strategic orbit, it will greatly strengthen the US’s hand in confronting its more significant and formidable adversaries, Russia and China.